Seedball Making at LaGuardia Community College! Seedballs. Photo by Maureen Regan, president and founder of Green Earth Urban Gardens. HarborLAB volunteers learned the art from SeedBall NYC‘s Co-founder and President Anne Apparu in a room made available to us by Dr. Sarah Durand of the Natural Sciences department at CUNY LaGuardia Community College. 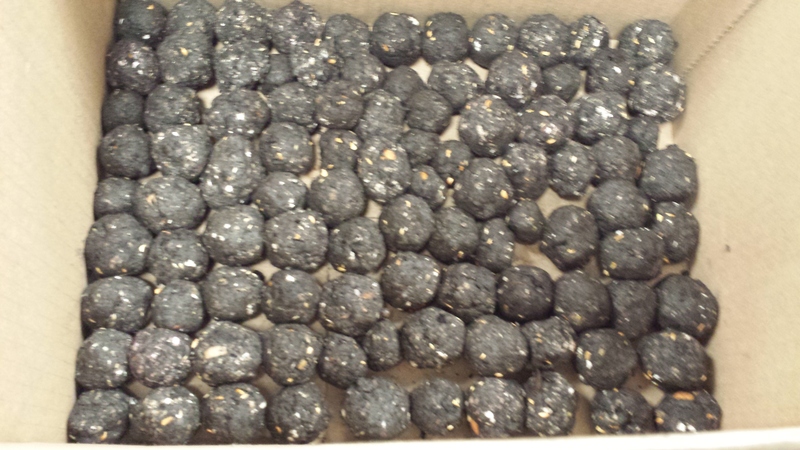 We made several hundred seed balls, and will make thousands more! The trick is to get the proportions right so that the balls hold together firmly but dry out before the seeds germinate. In terms of consistency, think cookie dough. Another great instruction resource comes from the Lady Bird Johnson Wildflower Center. HarborLAB used seeds we gathered with Hunters Point Community Middle School and Dr. Stephen Grosnell‘s Baruch College conservation biology students from Gantry Plaza State Park, Hunters Point Park, and our own GreenLaunch, along with seeds provided by SeedBall NYC and Briermere Farms. Hunters Point Parks Conservancy Vice President Mark Christie kindly help guide us in our seed gathering. Species included aster, milkweed, beach plum, beach pea, goldenrod, viburnum, pine, switchgrass, pokeberry, and the humorously named panicgrass (gallery below). 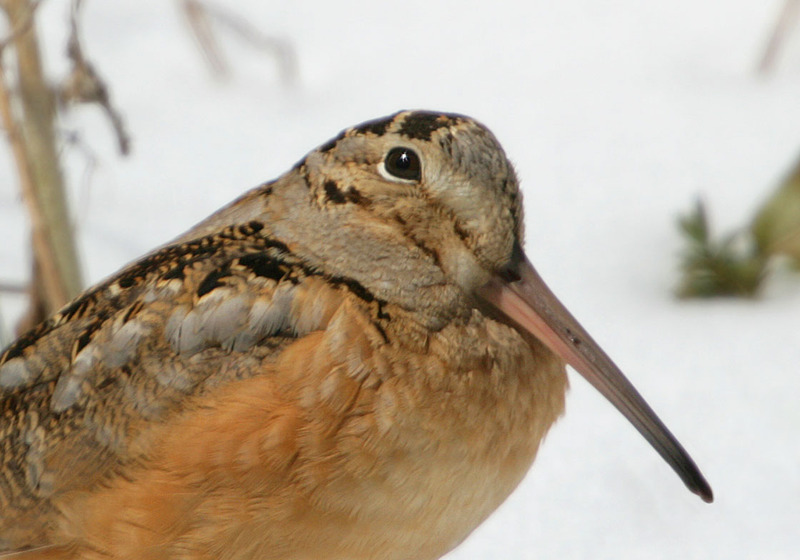 These salt-tolerant species support endangered monarch butterflies and other pollinators, and feed birds. They also stabilize the shoreline, allowing complex ecosystems to develop while also protecting property from surges and erosion. We also gathered beach rose from Hunters Point South Park but must be very careful about where to use them, if at all, for biological productivity without enabling invasion. See Newtown Creek Alliance historian Mitch Waxman‘s great write up of one of our outings at Queens Brownstoner. We’re also grateful to Maureen Regan, president and founder of Green Earth Urban Gardens for participating and to Gil Lopez, president and co-founder of Smiling Hogshead Ranch Urban Farm, for inviting a naturalist to join us. We also thank the New York State Department of Parks, Recreation, and Historic Preservation for permission to gather seeds. 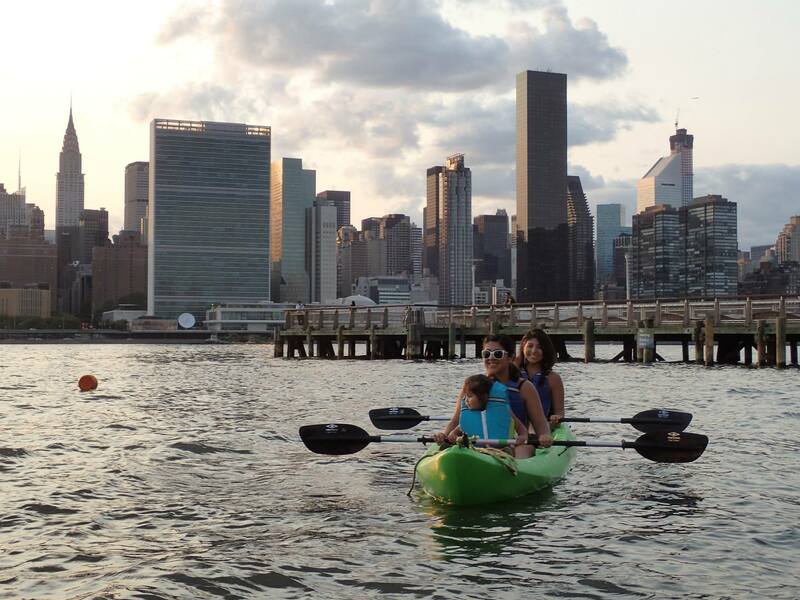 An especially welcome newcomer was Philip Anthony Borbon, a sailor who moors on the Queens waterfront of the Newtown Creek. Our next step is to go into classrooms to make seedballs with kids, and to then bring the balls with us when we paddle to areas in need of habitat restoration! 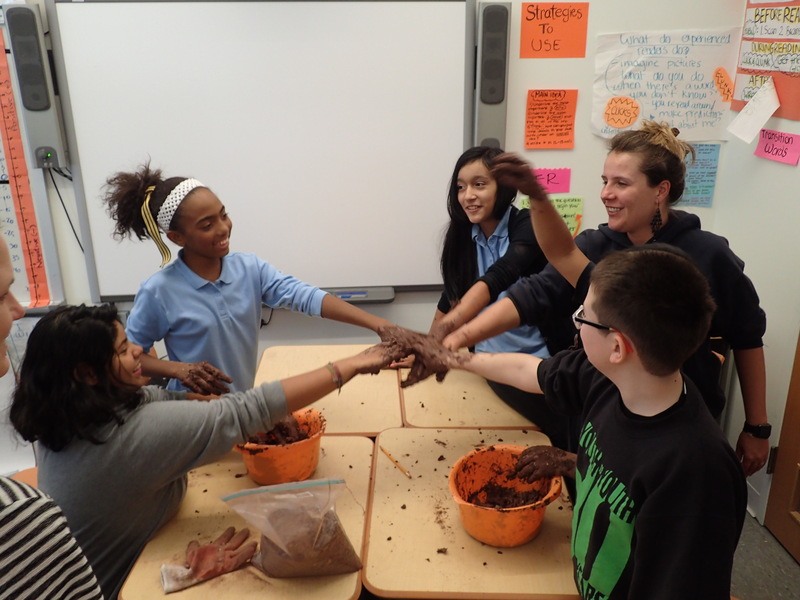 If you’d like a classroom talk and seedball making activity with HarborLAB, please email us at edu@harborlab.org! Hunters Point Community Middle School students out gathering seeds. Photo by HarborLAB Founder and Executive Director Erik Baard. The HarborLAB launch, soon to be the GreenLaunch. Photo by HarborLAB Founder and Executive Director Erik Baard. Goldenrod seeds ready to be gathered. Photo by HarborLAB Founder and Executive Director Erik Baard. Beach rose hips and seeds. Photo by Maureen Regan, president and founder of Green Earth Urban Gardens. Pokeberry seeds and fruits. Photo by Maureen Regan, president and founder of Green Earth Urban Gardens. 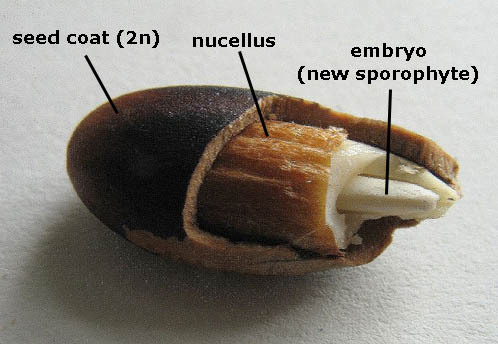 Goldenrod seeds. Photo by Maureen Regan, president and founder of Green Earth Urban Gardens. Hunters Point Community Middle School students out gathering seeds. Photo by HarborLAB Facilities Manager Patricia Erickson. Pokeberry seeds ready to be gathered. Photo by HarborLAB Founder and Executive Director Erik Baard. The HarborLAB launch, soon to be the GreenLaunch! Photo by HarborLAB Founder and Executive Director Erik Baard. Hunters Point Community Middle School students out gathering seeds. Mark Christie of Hunters Point Parks Conservancy guiding. Photo by HarborLAB Founder and Executive Director Erik Baard. Hunters Point Community Middle School students and staff out gathering seeds. Photo by HarborLAB Founder and Executive Director Erik Baard. Mark Christie of Hunters Point Parks Conservancy and Hunters Point Community Middle School students out gathering seeds. Photo by HarborLAB Founder and Executive Director Erik Baard. Pokeberry seeds. Photo by HarborLAB Founder and Executive Director Erik Baard. Phillip Borbon with milkweed seeds. Photo by HarborLAB Founder and Executive Director Erik Baard. Naturalist Nancy with pokeberry seeds. Photo by HarborLAB Founder and Executive Director Erik Baard. HarborLAB Facilities Manager Patricia Erickson extracts pine nuts. Photo by HarborLAB Founder and Executive Director Erik Baard. Manny Steier with goldenrod seeds. Photo by HarborLAB Founder and Executive Director Erik Baard. Beach rose seeds. Photo by HarborLAB Founder and Executive Director Erik Baard. Making the seedballs! Photo by HarborLAB Founder and Executive Director Erik Baard. African Americans have made contributions to maritime history and the sciences from the colonial period forward. The first wave of academically credentialed African American marine scientists, however, would not be born until toward the end of the 19th century. HarborLAB serves budding African American scientists through its youth programs each year, and for Black History Month honors trailblazers from years past. 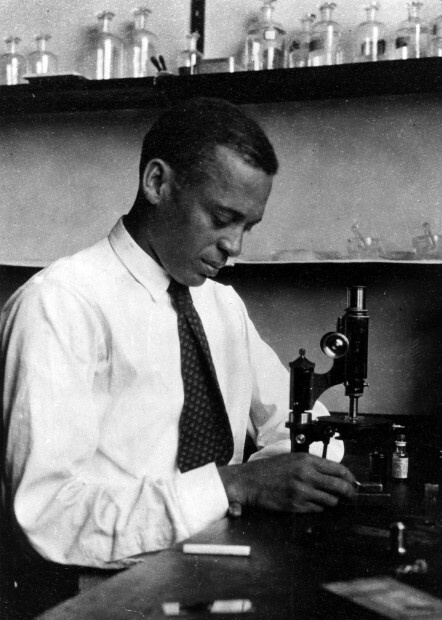 Outstanding among the first generation of African American university scholars in the marine sciences were Ernest Everett Just and Roger Arliner Young, both born in the 1880s. Both went to prominent universities and did field-shaping research at Woods Hole Oceanographic Institution, but white students were deprived of their gifts as teachers because of racial bigotry. Fortunately Dr. Just and Dr. Young received faculty appointments at historically black institutions where they inspired new generations of scientists. 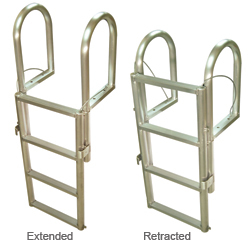 Dr. Just was renowned as a master designer of experiments. Though he died before the discovery of DNA, Dr. Just focused on eggs, especially those of marine invertebrates, because he saw them as the key to understanding life as an emergent complex system. An excellent biography of Dr. Just is Black Apollo of Science, which was a Pulitzer Prize finalist. 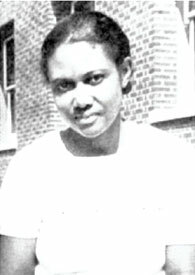 Dr. Young was the first African American woman to earn a PhD in zoology. She studied under Dr. Just and they both shared a mentor in Frank Rattray Lillie, a founder and first president of Woods Hole Oceanographic Institution. She performed cutting edge experiments on the effects of radiation on marine eggs. Her radiation work, study of cellular salt regulation, and dehydration and rehydration of living cells can be seen as a precursor to today’s booming field of extremophile studies. Understanding the extreme tolerances of terrestrial organisms aids astrobiologists searching harsher worlds for signs of life. Despite the achievements of the generation of Dr. Just and Dr. Young, and those who followed, even today to be a black marine biologist or oceanographer is pioneering. Dr. Ashanti Johnson, oceanographer, shares her experiences and inspiration in the video above. Students entering the field will likely have few or no black professors. HarborLAB’s message to these students is a simple one: Please, don’t be discouraged. Don’t allow yourself to feel excluded. We need as many bright young people as possible to study these fields because with fish stocks crashing and coral reefs dying, and ocean acidity increasing due to carbon dioxide pollution, advancement of marine sciences is a matter of survival. 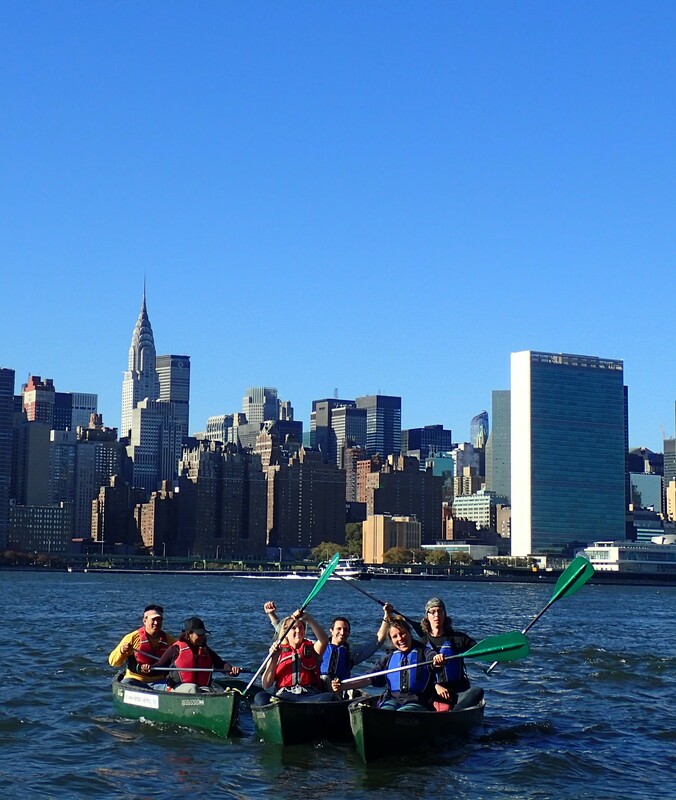 If you are part of a school or community group and want to join HarborLAB in environmental service learning on our boats or ashore, please email edu@harborlab.org.